KIGALI – Rwanda’s president Paul Kagame on Tuesday commended the Rwanda Defence Forces (RDF) for their bravery and dedication to the country. Kagame said the forces’ determination and skills mean that no enemy can defeat Rwanda, New Times reports. 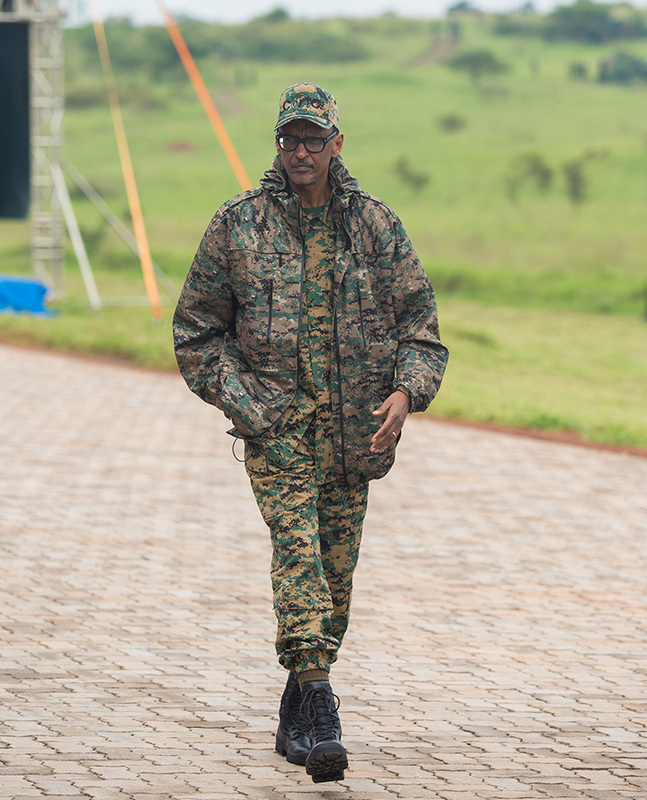 President Kagame who is also the Commander-in-Chief of the RDF, delivered the message shortly after joining RDF’s combined arms field training exercise at the Rwanda Defence Forces Combat Training Centre in Gabiro, Eastern Province. According to the New Times, a local daily in Kigali, the exercise concluded the final phase of the annual combined arms field training exercise codenamed “Exercise Hard Punch III/2018”. Kagame said that the army’s current capability and discipline can never allow Rwanda to be defeated by its enemies. “Nothing is impossible as long as we have the right mindset and values. Our enemies can only wish us ill but they will never be able to defeat us. Anyone who dares to threaten our security will fail,” he said. The ‘hard punch’ exercise is conducted every year and trains one brigade from a chosen RDF division among those deployed across the country. This year’s edition of the training was completed by the third division deployed in Western Province.